When visiting Haikou, you will find some fine seafood restaurants that are a must as well as the famous local specialties of Wenchang Chicken, Jiaji Duck and Dongshan Mutton. Hainan mutton is prepared in a special way and so does not have the attributes that are often associated with mutton that make it less than appetizing to many people. Here is not only smells good but tastes good and comes highly recommended! 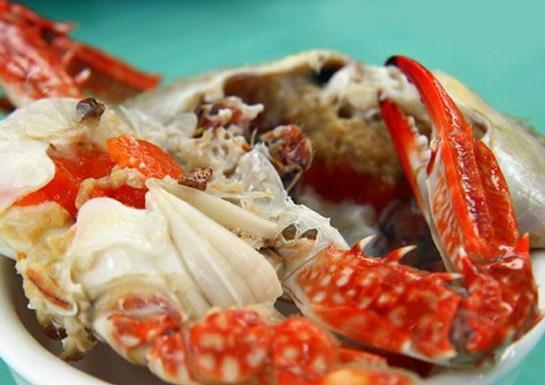 Seafood restaurants in Haikou fall into two categories. One is the up-market variety where the decor and service is as much of the dining experience as the quality of the food. Such places are the Jinghao Restaurant on Binhai Avenue and Nanzhuang Restaurant on Haixiu Avenue. These extra touches come at a price, so eating in these venues is rather more expensive. The alternative is the one on the roadside where you will see the seafood alive and kicking in the tank! This kind of restaurant is much more reasonably priced especially if it is merely your hunger you wish to satisfy. Popular venues in this category include those on Haixiu Middle Road and on Xinbu Island. Longkun South Road (龙昆南路) is famous for all sorts of seafood restaurants that are gathered here. If you are looking for local snacks, Bo’ai South Road should not be missed. Here you can get the chance to take Hainan Rice Noodle and the dainty fried dumplings.